Here are some of our most common space sizes and examples of how they could be used. Treat this as a rough guide to help you visualise how much space you need though bear in mind that everyone’s needs are different. 66-80 sq ft: Room for a desk and not much else. 80-100 sq ft: Room for a large desk and some storage. 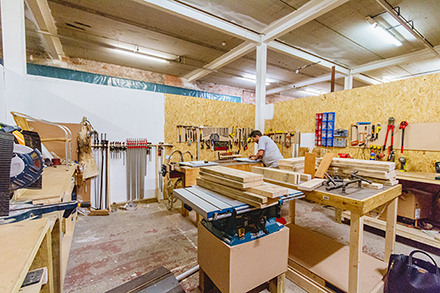 300-400 sq ft: Medium sized maker/artist space or room for a small office team of 4-5 people. 500-700 sq ft: Large maker space, small photography studio or office space for team of 5-10 people. 1200 sq ft upwards: Could be used for a dance or yoga studio; office team of 15+ people or large studio. Some of the spaces look a bit basic? At first glance, yes, we rent out all of our spaces as is. 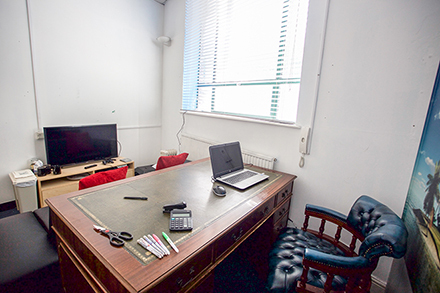 They best suit creatives, those first venturing into the world of freelance and those starting up or growing a business that want an affordable space with no long contracts (and no risk). We are flexible and encourage you to make a space your own by adjusting it to suit your needs. Just make sure you run alterations by us first. 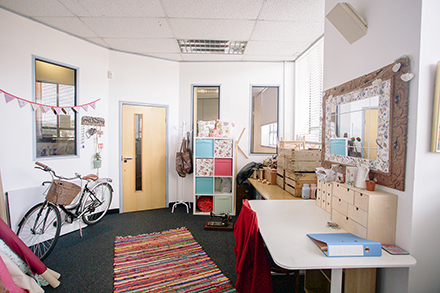 With a bit of imagination many of our tenants have radically transformed their studios and offices, turning bare, empty units into gyms, catwalks, photography studios, rehearsal rooms, recording studios, woodworking workshops and everything in between.